All public Deliverables are now available for download. Please visit the Deliverable page. The "Wissenschaftstagung Ökologischer Landbau" is an important scientific conference on organic agriculture for german speakiing countries. 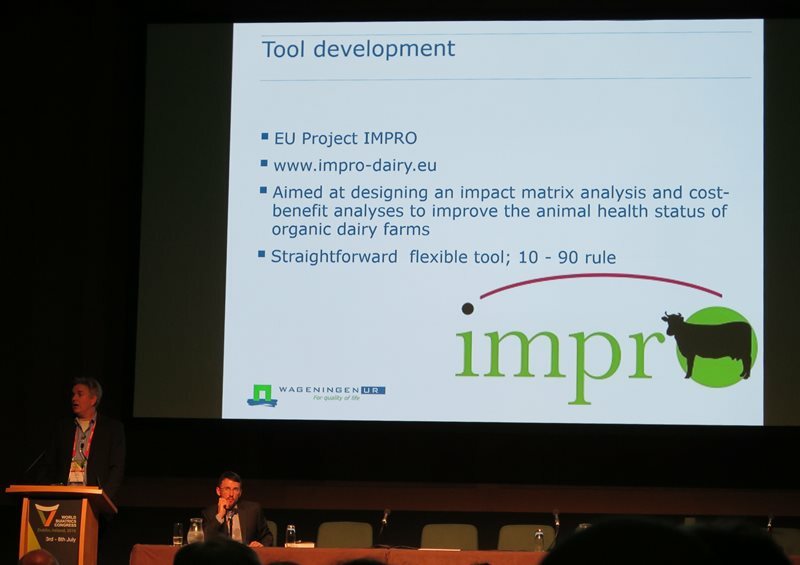 In 2017 four presentations were given by the German IMPRO team: Marget Krieger gave a presentation on production diseases in organic dairy herds and on the interaction of system variables and production dieseases. Susanne Hoischen-Taubner gave a talk on failure costs due to udder diseases and lameness in German organic dairy farms. Albert Sundrum presented conclusions on homeopathic treatments in organic dairy farming. 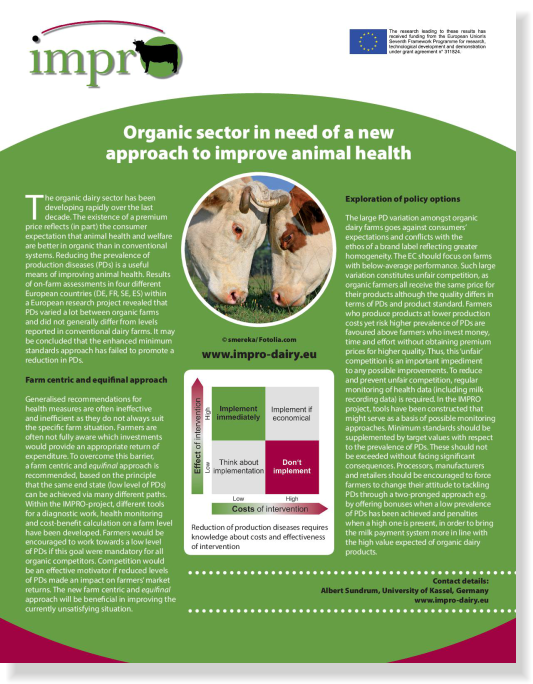 You can find all abstracts on Organic Eprint. Julie Duval and her Co authors published two articles on the participatory approach and the perception of veterinary practicioners. 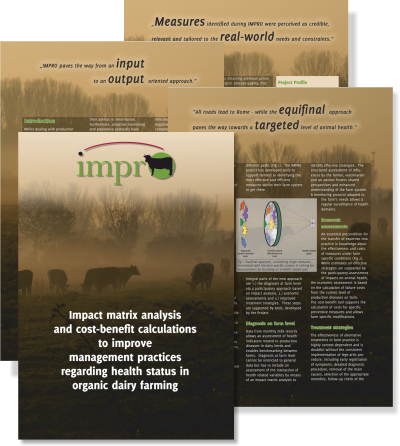 Philip Jones and Co authors succeedes in publishing an article on European organic dairy farmers’ intentions to improve herd health. All three articles were published in Preventive Veterinary Medicine. An article on the efficacy of homeopathy in livestock by Caroline Doehring and Albert Sundrum ws published in Veterinary Record. See the IMPRO publication list for more details.